This article is from the 1969 print edition of the San Diego Free Press and is transcribed from microfilm at the San Diego Central Library. Contrary to what most people think, at this point it is not the student dissidents that are seeking campus confrontations, but the extreme Right, particularly in San Diego. Thus, Governor Reagan has been consistently quoted in the press as saying that “the time for a confrontation on the campuses is here.” He, his government and his right wing allies have consistently acted to bring that confrontation about in order to be able to implement repressive measures with the goal of stifling the student movement. His most powerful ally in San Diego has been and is the Copley Press. 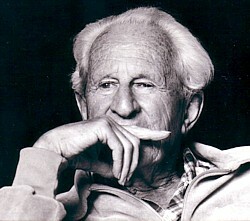 In the past few years, it has used every means available to vilify Marcuse and arouse the community resentment against him. One of its more noteworthy contributions to this cause was a series of front page articles and editorials perpetuating the lie that Marcuse had invited Red Rudy Dutschke to come to UCSD as his student and his ‘agitator’. Taking their cue from the Governor, and with the aid of the Copley Press in mobiIizing community pressure, the American Legion has for the past year engaged in a systematic pressure campaign on the University Administration to dismiss Marcuse on the basis of his political philosophy. This position has worried many students who fear that the administration is attempting to find a way to accommodate the community (after all, the University does need money to operate) and get rid of Marcuse, while at the same time saving the face of academic freedom though not academic freedom itself. Any refusal to rehire Marcuse will obviously be a concession to right wing pressure. The academic grounds simply do not exist. As a teacher, he is probably the most respected and loved professor on campus. His lectures and seminars are filled to capacity with both auditing and enrolled students. As a writer, he publishes voluminously, and his works are probably more widely read both within and without the University than the books of all other UCSD professors combined. The age argument is equally senile: he is in superb mental and physical health. Moreover, it would apply with equal force to a number of other celebrated professors on campus, notably Harold Urey and Seymour Harris. Presumably, age in their cases would not constitute grounds for not rehiring them as their politics are more reactionary. The students’ fear of losing Marcuse is genuine and deep. When the equivocal nature of the administration’s position became increasingly clear in the last few school days before Christmas vacation, they acted in response by circulating a petition expressing THEIR desire to have Marcuse remain at UCSD. Well over a thousand signatures were obtained in less than a single day. Not surprisingly, however, this move apparently has made very little impact on those empowered to decide on this matter – modern bureaucracies are not known for their responsiveness to the needs of those people whose activities they administer. The rumor that somehow the Administration will refuse to rehire Marcuse is persistant and intensifying. It emanates from the secretarial grapevine, which has acquired a high reputation of accuracy in past performances. There are differing versions, however, concerning what precise method the administration is supposed to employ to achieve this end. Few believe that the Chancellor would be such a fool as to refuse to rehire Marcuse outright. Some people, therefore, believe that it is likely he will rehire him with the stipulation that this is the last year that he will do so, and that next year he will refuse to renew Marcuse’s contract. Still others believe that more devious means will be used that will produce more immediate results. This refers to the possibility that the Chancellor might renew the contract only to have the Regents, at their next meeting, reverse the decision, and thus, in effect, fire Marcuse effective next September. It is not solely the administration’s equivocal position, however, that is the cause of the apprehension and unrest, but also its authoritarian point of view that students should be excluded from the decision-making processes in this as well as other cases. It is of course a fact that it is the students, more than anybody else, who are affected by whether Marcuse stays or leaves. Yet they are completely excluded from all deliberations. The administration never consulted or even sought the opinion of the students, but instead the students had to abide by whatever they decided. This is because the ‘established channels’ in these decision making processes (which the administration is always so fond of defending and urging the students to make use of) are so structured that students are completely left out. All meaningful meetings at which the Marcuse matter is discussed are closed and secret; students not only have no vote, no say, but they are not even permitted to listen; i.e. they are not permitted to know what is going on. The situation at UCSD parallels in its essential structure the one at San Francisco State College: right wing pressure is demanding greater and more repressive acts on state college and university campuses where students are asking for greater democratization. In both cases, this general conflict has surfaced in the fight to retain a radical professor on the faculty. In both cases, a ‘liberal’ administration is caught in the middle, from where it tries to please everyone, i.e. compromise everyone, and winds up pleasing no one, not even the reactionary forces whose instrument they are and whose dictates they eventually are forced to implement. Whether or not the situation at UCSD will parallel San Francisco State in its further developments, depends mainly on the administration’s assessment of what the students will be capable of doing if Marcuse is not rehired. It will seek to avoid at all costs a general strike situation. Therefore, if it is convinced that the students will shut the campus down, which can be done, this will serve as a powerful (though unacknowledged) stimulus to rehire Marcuse. Whether or not it will make this or the opposite judgment by the time the final decision is made in late January, in turn depends on the actions students will take in the weeks preceding the decision, i.e. the strength and militancy of their proposals and the support they can gain for them from fellow students, faculty and community. At any rate, it is clear that if the decision to can Marcuse has already been made, it is only student action that can now bring about a reversal of the decision before it has been made public, thus saving the administration the embarrassment of having to give in as result of a strike. Thanks for digging this up, John! I knew of this, but it was before my time. I had a (slightly older) friend who got a chance to take a couple of seminars with Marcuse, which changed her major from bio to philosophy. After law school she switched back to biology as a better contribution to society….